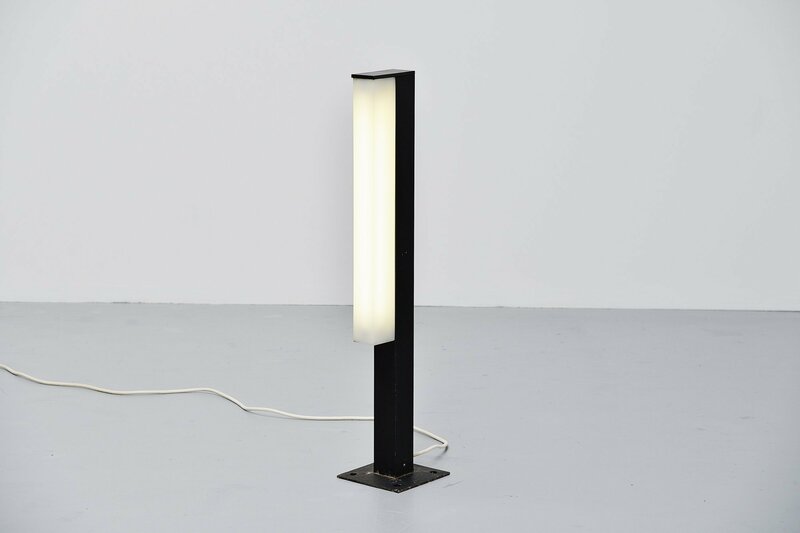 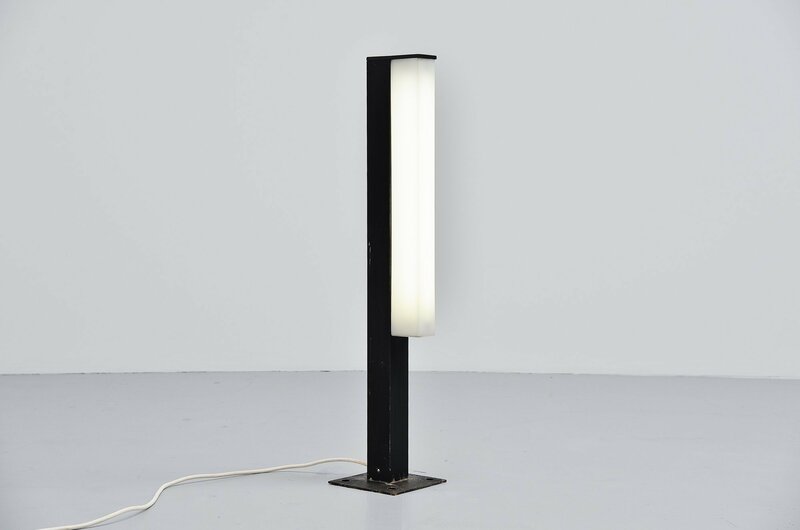 Very nice and rare modernist garden lamp designed and made by Raak Amsterdam, Holland 1970. 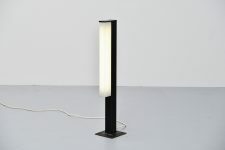 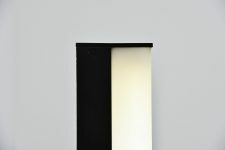 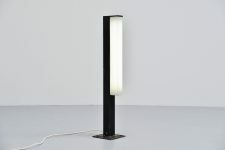 The lamp is made of black lacquered aluminum and has a white plexiglass shade. 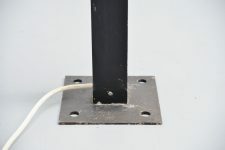 The square base has 4 holes in it to fix it to the floor so the wind doesn't blow it over. 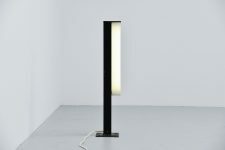 The lamp is impressed; RAAK on the bottom of the base. 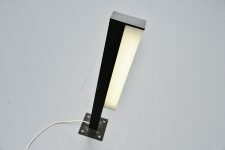 Gives very nice and spherical light when lit.